VIVOplay, a Hispanic OTT (Over-The-Top) television provider, has selected Octoshape Infinite HD-M to expand into the global Hispanic content market. 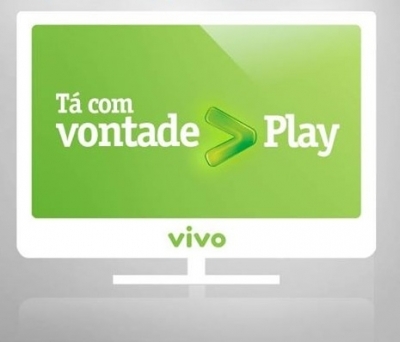 As part of the pact, VIVOplay will introduce HD quality OTT IPTV (News - Alert) service to consumers in various phases. VIVOplay will focus on Latin consumers across North America and Europe in the first phase while in the second phase the offering will be expanded across the rest of the globe. Officials with VIVOplay said that the VIVOplay service leverages both Octoshape’s patented video acceleration network Infinite (News - Alert) HD-M and Fuugo user interface and content management platform for multi-screen devices from Axel Technologies. “When selecting a partner for this initiative, we required the most robust and powerful solution to ensure a full HD experience over multiple devices, and across various network conditions,” said Carlos Hulett, CEO of VIVOplay, in a statement. Hulett said that Octoshape enables a differentiated service that positions VIVOplay as a driving force in the fast growing OTT market. Hulett said that the service is now generating huge anticipation in the Hispanic consumer vertical in the USA and Europe. Michael Koehn Milland, CEO of Octoshape said that the VIVOplay service is about to redefine how consumers around the world gain access to high quality content from back home. “Our core value proposition lies in the ability to watch content across devices, anywhere in the world while achieving a superior viewing experience,” said Milland. Infinite HD-M brings the quality, scale, and economics of traditional broadcast TV and applies it to the Internet. It combines the best of Infinite HD with the scale and economics of multicast. The company claims that the technology leverages and aggregates industry standard hardware already deployed in the last mile to create the most efficient IP-based linear content distribution platform in the world, all over the public Internet. Utilizing the Infinite HD-M technology, Octoshape creates a federated global distribution network, both ingesting linear signals from anywhere in the world, and distributing content efficiently into existing global last mile IP infrastructures. Petri Kalske, CEO of Axel Technologies said that game changing companies like VIVOplay also require innovation from its partners. Kalske said that the Fuugo Platform enables more options for VIVOplay to enhance their visions of advanced user experience in web, smart TV’s and mobiles also in future. Officials with Axel Technologies claimed that Fuugo Platform is the most sophisticated multiscreen video application platform for Over-The-Top (OTT) services. It’s a fully connected, hybrid platform that enables fast application development and online remote management. Creating a new video app is very fast and easy due to application framework that provides the functionalities needed for TV and video services in a multiscreen environment. Intuitive real time management system revolutionizes the customizations, modifications and especially the maintenance of the app. Application can be modified remotely without technical capabilities or long lasting development processes.